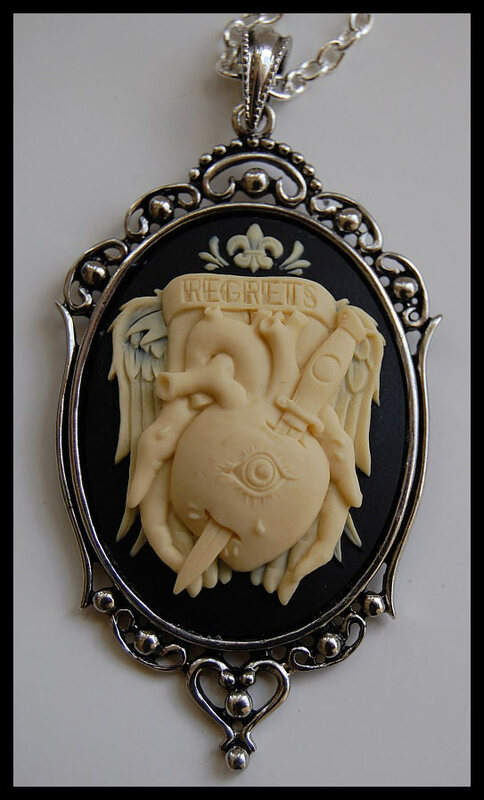 This necklace features a beautiful ivory Heart and Dagger clasped in winged hands image with a "Regrets" banner resting on a black resin cameo and is set in a Victorian style antique silver plated pendant setting. The gothic pendant hangs from an antique silver plated chain, measuring 18" in length and closes with a lobster claw clasp. The cameo measures approximately 40 x 30mm, and the setting is 72 x 36 mm.